Formula Go: Build, upload, and create brew formulae for golang applications. Build, upload, and create brew formulae for golang applications. Formula Go helps you to build and upload your software written in Go; and then prepares Homebrew and Linuxbrew formulae for it. Note that Formula Go assumes your software is hosted in GitHub, and its compiled binaries are published in GitHub’s release page. It creates homebrew directory and generates a template of Homebrew formulae there. Formula Go uses make to compile and upload your program. This initialization step creates a Makefile for this purpose as well as a template of Homebrew formulae. To create the template, GitHub’s user name and repository name are required. By default, Formula Go checks your git configuration to obtain those information but you can give them via arguments (run fgo init -h for more information). If your git configuration doesn’t have both information and you don’t give them as arguments, this command will skip to create the template. In this case, you need to re-run init command after setting git configuration. This flag takes a text and sets it to the description section in the template of brew formulae. It starts to build your program to pkg directory and uploads built binary files to GitHub. After uploading binary files, it updates a Homebrew formula in homebrew directory. For debugging, you may need to build your program but omit uploading. In this case, omit version name in the above command. Formula Go builds your program in pkg/snapshot directory without uploading. This flag specifies a GitHub API token used to upload binaries and create a release page. If this flag is not given but GITHUB_TOKEN environment variable has been set, the environment variable will be used. If neither this flag nor GITHUB_TOKEN are given, github.token variable in your .gitconfig will be used. This flag specifies a release note for the given version. If this flag isn’t given but your CHANGELOG.md contains a release note associated with that version, the release note will be used. This flag specifies how many goroutines will be used to upload binaries. The default number is as same as the number of CPUs. If this flag is set and there is a release for the given version, the release will be deleted and a new release for the given version will be created. If this flag is set, the new release won’t be published and will be kept as a draft. If this flag is set, the new release will be marked as a prerelease. fgo update [version] only updates the Homebrew formula for a given version. build command updates the Homebrew formula but sometimes you may need to re-update it for a specific version. This command do that. init     create Makefile and other related directories. 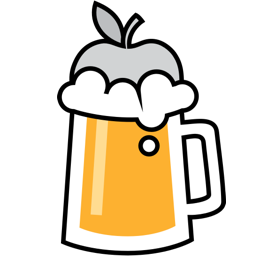 build    build binaries, upload them, and update the brew formula. update   update the brew formula. Formula Go is available in homebrew and linuxbrew. Formula Go requires make, goxc, and ghr. The above brew install command also installs those dependencies if necessary. Copyright © Junpei Kawamoto All Rights Reserved. 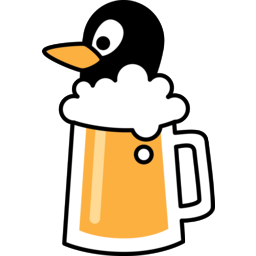 The Homebrew and Linuxbrew icons are by Homebrew and Linuxbrew, respectively, under CC BY 4.0.